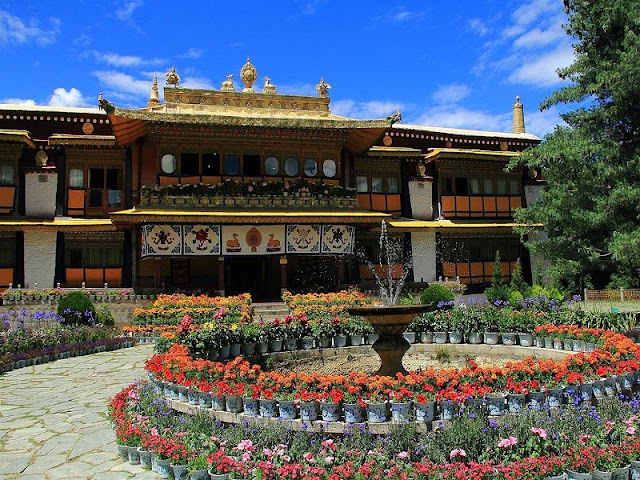 As the largest artificial garden in Tibet, Norbulingka Palace is an important tourist attraction by the side of Lhasa city. Norbulingka means “Park of Treasure” in Tibetan and once it was the summer palace where Dalai Lamas processed the affairs of government and held religious services. As a part of the ancient architectural complex of the Potala Palace, Norbulingka Palace was accepted to be a UNESCO World Heritage site in 2001. Norbulingka Palace was built in 1755 and it had been expanded for hundreds of years. Today it has become a large-scale garden with an area of 360,000 square meters and more than 374 rooms. 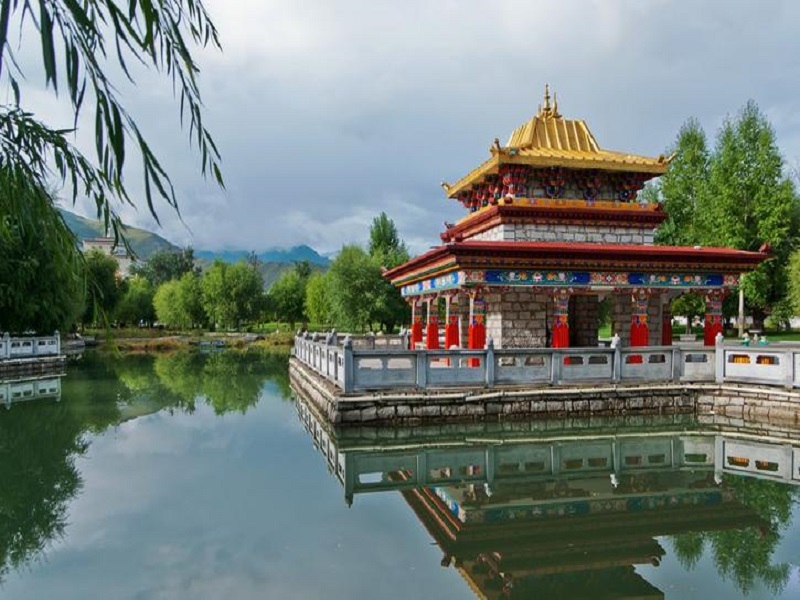 Dotted with many different kinds of precious flowers and plants, Norbulingka Palace is called the botanical gardens of the Qinghai-Tibet Plateau. With the fresh air and peaceful atmosphere, you could relax with a calm mind when you walk in the pure land. Located in the downtown of Tibet Lhasa city, Norbulingka Palace is easy to reach. It’s just 2.5 km from Potala Palace, 3.8 km from Barkhor Street and 4 km from Jokhang Temple, so you can get there by taking a walk. Also, you can take a bus No.2, 14 and 24 to get there. Or take a taxi if you’re far away. Once Norbulingka is a place where Lhasa river passes through. It was a wasteland with weeds and beasts. Attracted by the beautiful scenery, 7th Dalai Lama often spent the summer here for his study of Buddhist scriptures. 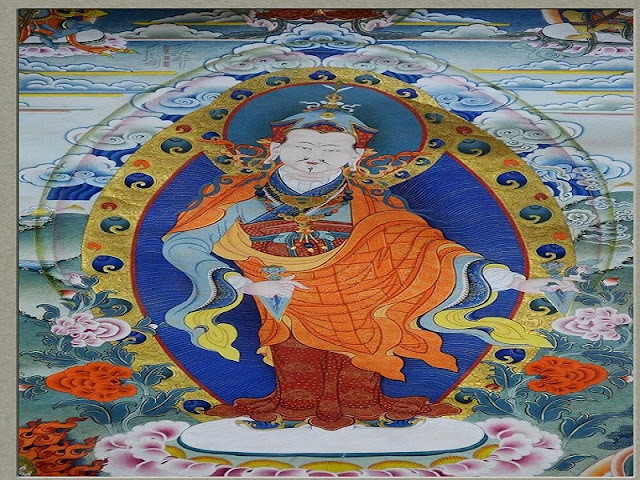 Finally, in the 1740s, a great many of tents was set up for him by Amban, this could be the predecessor of Norbulingka. A palace where 7th Dalai Lama learned Buddhist scriptures, handled governmental affairs, and met guests was soon constructed there. From then on every Dalai Lama lived there in summer. Gradually, it became the summer palace of Dalai Lamas. Extra buildings were built out from the main palace when 8th Dalai Lama took charge. With the further extension by 13th and 14th Dalai Lamas, Norbulingka Palace had become a Large Garden with lots of Palaces, Villas, and pavilions. 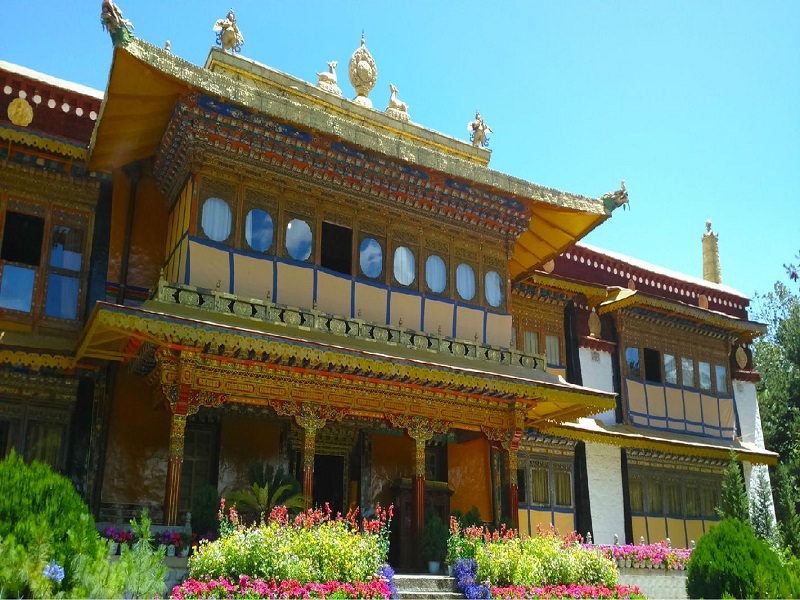 As a park and a museum, today Norbulingka Palace is now open to guests. Also, there are kinds of distinctive activities taken place, tourists could join in and interact with the local Tibetans. 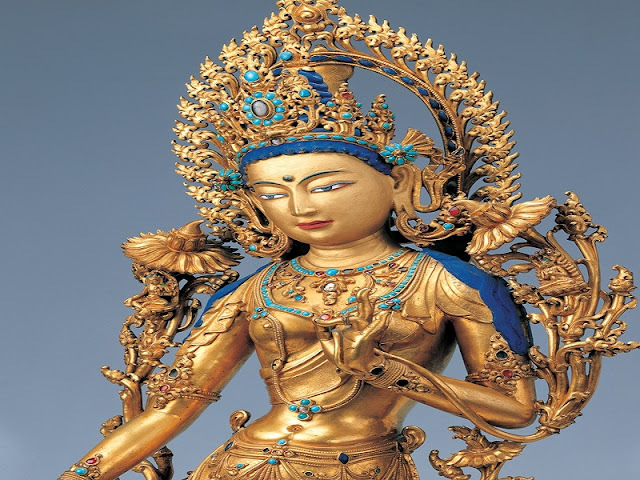 Gold-copper statue is the most famous carving method in Tibet. 7th Dalai Lama needed some Statue of the Buddha and sacred instruments for his palaces and temples when Norbulingka was newly built, so he built a workshop of Buddhist statues at the foot of the Potala Palace. Hundreds of skilled craftsmen gathered there to create exquisite Statue of the Buddha. Norbulingka Palace has a superb collection of Thangka from the 18th to the 20th and All the Thangka is vivid and lifelike. Also, there are a great many of fantastic frescoes in Norbulingka. Especially a fresco reflects Sakyamuni Buddha and his eight disciples under the Bodhi tree. 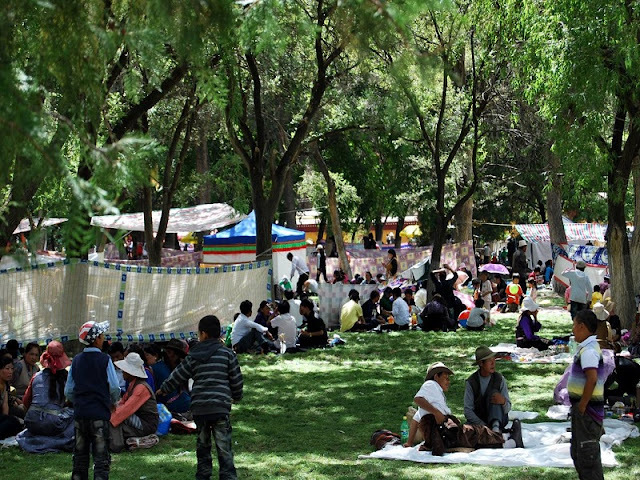 Norbulingka is an activity center in Lhasa when Sour Milk Festival comes. Tens of thousand Tents would be set up around Norbulingka and in the woods nearby. Almost every Tibetan comes and enjoys a perfect time with family and friends.